"Amar Ekushey Grantha Mela" which is Ekushey Book Fair is the National Fair of Bangladesh and the book authors and readers center. It is organized and held by the Bangla Academy in the month of February each year. He is in the area of the Bangla Academy, Dhaka (near TSC, Dhaka Univery). From 2014, the show will be growing on Shurayardi Uddan and the side of the street from the Bangla Academy. The fair is also very popular as Ekusey Boi Mela. The book fair is an immortal reminder of February 21, 1952. Now it is not just a book fair, but also a culture of Bangladesh. The book fair and the event will be devoted to the martyrs of the language. On February 21, the mother tongue of Bengali was born. 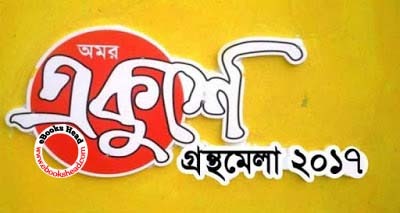 Now the official name of the fair is "Amar Ekushey Grantha Mela"